Zach’s one of our inspirational campers. Read his story of resilience and how he’s thriving after the loss of his Dad. After a life changing experience at camp, Charlie is now looking to give back by supporting others. Friday March 15th at The beautiful Stonecutters Ridge Golf Club. 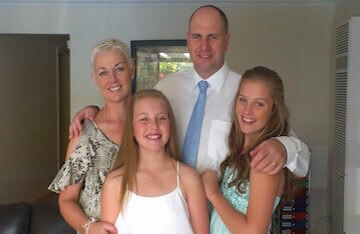 1 in every 20 children aged 7-17 will experience the death of a parent. In Australia, just over 300,000 children will lose a parent before they reach the age of 18. To put this into perspective, there is most likely a child grieving the loss of a parent in your child’s class at school. In addition to this, children also experience sibling and legal guardian loss. Grieving children who have experienced the death of someone they love can feel isolated and alone. They require ongoing support in developing strategies to cope with and move forward with their lives following a significant loss. At Feel the Magic®, we provide grief education and support to bereaved children and their families to help alleviate the pain and isolation felt by the loss of a parent, sibling or legal guardian. Join us as we create a world where children who are experiencing grief are supported to reach their full potential. 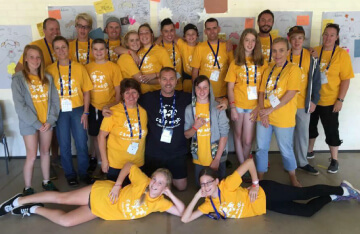 Our Camp Magic® program is Australia’s largest and leading grief education and support program for children grieving the loss of a parent, sibling or legal guardian. 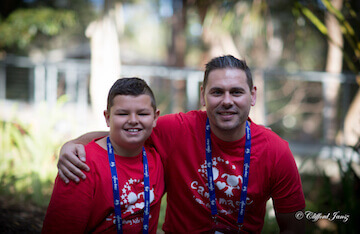 Our Magic Journey program takes nominated families on the trip of a lifetime to Disneyland where they can reconnect and enjoy a break from the intensity of their new normal. The parent and guardian workshop is a literacy program allowing parents to develop a broader understanding into their child’s development and stages of their grieving journey. The ‘Dear Future’ video is something we have been working on for the past few months. As an organisation that supports grieving children, we often get phone calls or emails from concerned parents all over Australia expressing their fears of what their children’s future may look like. We thought the most powerful way to respond would be to hear from other children who have been a part of our programs.